Display technologies have evolved quite a lot in the last few years, and more innovation is on the way. 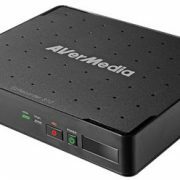 People are hardly interested in purchasing those fat CRT TVs, and when it comes to portable handheld devices like smartphones and tablets, it is practically impossible to implement such cumbersome displays in them. 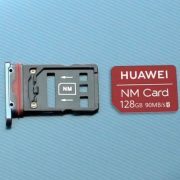 The screen being the most important elements of most electronic gadgets nowadays, a variety of display technologies are available. Recently we came across the MicroLED display technology, which is a massive improvement over the OLED display, the technology which is still not that mainstream. It is not that all other display technologies will be obliterated by the new innovation any time soon, but today we will see how the MicroLED display technology is different. It all started with Liquid Crystal Displays, where the movement of a liquid is electrically controlled to show objects on the screen. 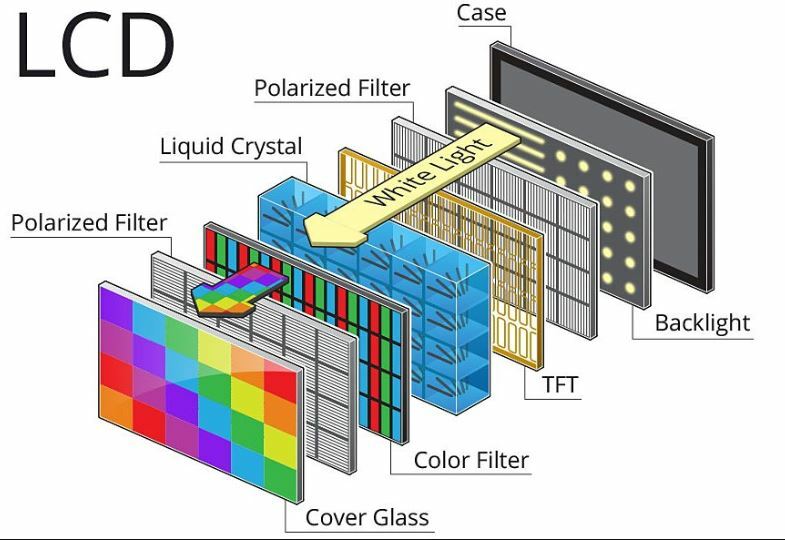 Later on, OLED technologies came to the market, where each pixel on the screen is displayed using a single organic LED, making it better than normal LCD displays for a number of reasons. But OLED displays or Organic Light Emitting Diode displays aren’t the best and keeping that in mind, MicroLED displays are invented to address the issues that are prevalent in OLED displays. So let’s get started with the LCD displays, and then we will peep later on into OLED and MicroLED displays. In LCD displays, there is an LCD panel in front, which is capable of displaying colors, and a fluorescent backlit is present behind the screen in case of LCD TVs to provide lighting to the colors that are being displayed on the screen. LCD displays are pretty obsolete nowadays, and the production of such displays are almost stopped. LCD displays are pretty cheap, and they are quite thick due to the presence of the fluorescent backlit just behind the panel. Just because of the bright backlight, the black is not reproduced properly, as the light behind the panel gives the black corner or part, a greyish shade. Due to the presence of a single backlit, it is not possible for the backlit to get dimmed at one part behind the display. Due to the use of fluorescent backlit, LCD displays are quite power hungry. Though they do not consume as much power as CRT displays, for sure. Talking about LED displays, the technology is not that different from the normal LCD display technology. In a LED display, the same technology is implemented, but instead of the fluorescent backlit, LED backlit is used, which eventually make the display much better than old-school LCD display in a number of ways. Due to the use of LED backlit, the thickness of the TV is considerably reduced, and it uses Micro Dimming technology to reproduce better black colors. 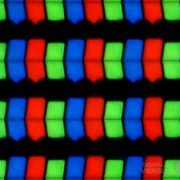 Though the problem of black color reproduction is a little sorted in LED displays by dimming the pixels behind the part or section of the screen, which is supposed to display black, the black colors are not as good as true black. But it eventually delivers better black colors compared to that of LCD displays. Due to the use of LED instead of fluorescent backlit, it consumes considerably less power compared to that of LCD displays. Talking about OLED displays, the technology used in this case is completely different from those used in LCD and LED display technologies. 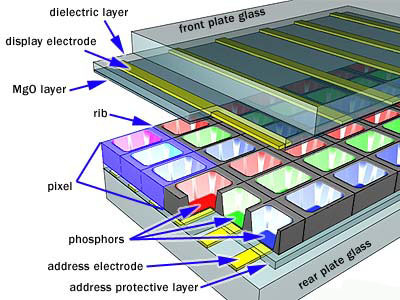 In the case of OLED displays, each pixel is present in form of a tiny organic LED or Light Emitting Diode. Such tiny LEDs can thus, not only produce colors like LCD displays and LED displays but unlike LCD or LED displays, OLED displays do not require backlighting to make the colors visible on the screen. OLED displays are also available in two varieties, PMOLED, and AMOLED. In PMOLED displays, a line of pixels or LEDs is sequentially controlled by the board, while in AMOLED displays, each pixel is controlled individually by the display board, making it a great option for smartphones and televisions. 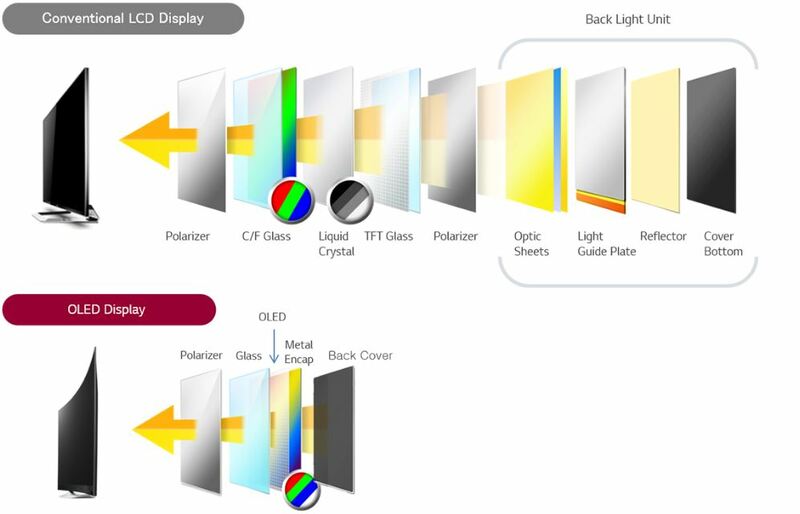 Due to the use of individual LEDs for every single pixel, the manufacturing and eventually the final cost of OLED displays is quite high, and OLED displays are capable of producing absolute black shades. The pixels which need to display black will not be switched on, and nothing can be more black than darkness. Thus, the OLED display board has the capability to control each and every pixel on the screen, and even switch it off, whenever necessary. This eventually makes the OLED displays very very thin and makes it easy to manufacture curved displays. But OLED displays have burn-in issues, which used to be a problem with CRT displays, and the use of organic elements is also a reason, OLED displays do not last for an eternity. Burn-in is caused when the same thing is displayed on a screen for continuous hours, like the on-screen navigation buttons for a smartphone or the channel logo or so, in the case of TVs. So the MicroLED displays came into existence, which I will discuss shortly, after peeping a bit into another quite obsolete display technology. 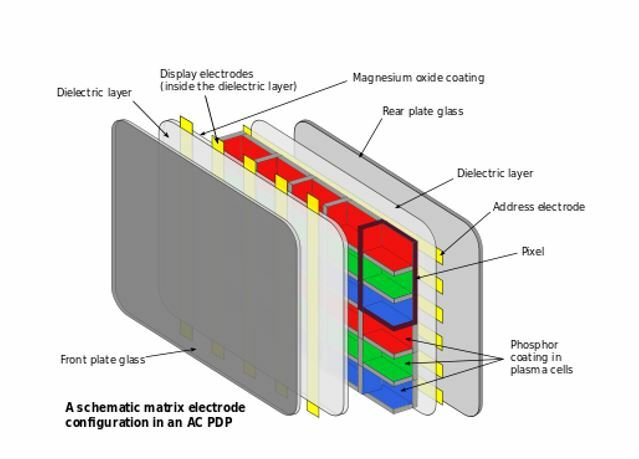 Talking about plasma displays, which is almost obsolete nowadays, is quite complicated, if compared to the LCD, LED and OLED displays. Here the light formed by ionizing gases and then by making it strike an RGB panel, which eventually produces colors on the screen. There is no requirement of backlit as well, in this display technology. But there are reasons, why it is not that popular, and the production of plasma displays is stopped. Plasma displays consume a lot of power and are quite thick if compared to the very popular OLED displays. Apart from that they also consume a lot of power, even after not offering a very impressive contrast ratio. Though the reproduction of black colors in plasma displays are better than that of LCD and LED displays, but are not as good as OLED panels. Plasma TVs used to be quite bulky, which is yet another reason, it is not everybody’s favorite. Talking about the good sides, plasma displays, they do not suffer from motion blur making it a great choice for the gamers out there. Color reproduction and brightness are also quite good in plasma TVs. Now let’s move on to MicroLED, which seem to be the display technology of the future. 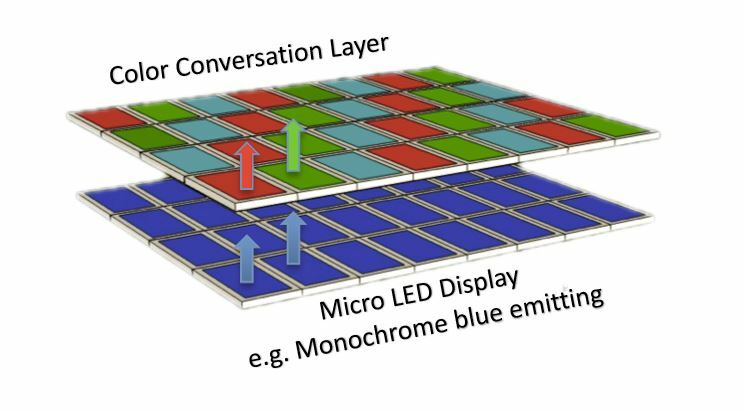 MicroLED displays are pretty similar to OLED displays, with the only difference being the implementation of micro LEDs instead of the organic compound which is used in the preceding OLED technology. This eventually leads to a number of advantages. But chances are very less, MicroLED technology will get the maximum market share any time soon. Implementation of MicroLED technology will solve the problem of burn-in, which is observable in OLED displays under intense viewing conditions. Not only that, it is easier to manufacture MicroLED displays in different shapes and size, and the power consumption of MicroLED displays are less than that of OLED displays, set to the same brightness levels. 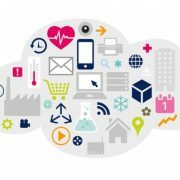 Just like any other new technology, MicroLED display technology is quite costly, and it is pretty challenging to start large-scale production of such displays. Samsung showcased its 146-inch MicroLED TV at the CES 2018, and Apple can also use the latest MicroLED technology in the next version of Apple Watch, but it is yet to be seen. MicroLED technology seems to be the best in class display technology as of now, and it might take years unless it becomes the mainstream display technology after the not so mainstream OLED display technology. So that was it. Hope the small explanation of the display technologies in layman’s terms was useful for you. Do you have anything to say? Feel free to comment it down below.